The issue of the best gaming mouse pads is a highly debated one today. Often times, gamers who use mice with surface tuning view mouse pads as ancillary. But are these accessories utterly useless? I guess not. If you are a fan of highly competitive games that require split-second controls, then a gaming pad is something that you should consider adding to your gaming peripheral. Among other benefits, the best gaming mouse pads give a great deal of support in terms of sensitivity and precision to your gaming mice. So, what matters when buying these items? Are there dedicated mouse pads for gaming? You’ll learn all these soon. The Logitech G440 is one of the best gaming mouse pads on the market today. This pad brings tons of things to like and very little to hate. Let’s begin here, what makes it our editor’s choice on this list? Are you looking for a gaming pad that is neither too small nor too large for your gaming desk? Well, I bet the Logitech G440 fits the bill. This pad measures 11 1/8 by 13 3/8 inches. This might be an ideal size for gamers who want a pad that is slightly larger than a standard pad. This size allows you to make precision movements without lifting your mouse. Yet, it is not overly large to make it difficult to place it on the edge of your desk. I bet this is the key feature that makes it one of the best gaming mouse pads today. This pad has a hard surface and, therefore, pretty much perfect for lightning mouse and cursor movements. As most gamers affirm, its uniquely smooth surface makes tracking a breeze and does not cause skipping. 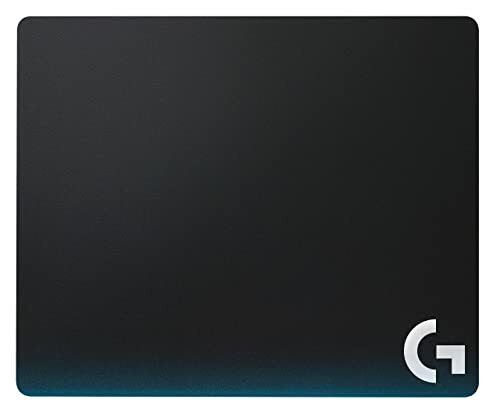 We also like that hard gaming mouse pads like this one offers you a consistent gaming surface all along. As such, it’s very unlikely that you’ll want to replace this pad anytime soon. It does not slide! This is among a few other best gaming mouse pads that we can honestly recommend to furious DPI gamers. We appreciate that it has a rubber base. This is a nice feature that means that the pad won’t be sliding all over the desk with your hand. Are you on the market for a gaming mouse as well? If so, consider matching this pad with the Logitech G gaming mouse. Logitech says that this gaming pad has been designed to match the Logitech G’s sensors. First, this pad is quite expensive. You could get 2 other low-end yet functional models at its price. Second, its edges are notably sharper and may irritate the wrist easily. You might want to smoothen them before using the mat. It’s on very rare occasions that we recommend cloth mouse pads, especially for gaming. However, we know a quality cloth pad when we see it. And this Corsair MM300 is among the best gaming mouse pads in this category. Boasting an impressive 4.7/5 star rating from its 2k gamers, I doubt there’s anything to emphasize on its reliability. A giant in gaming technology, Corsair understands that gaming peripherals are a personal preference. That’s why it avails the Corsair MM300 in all the 3 sizes. While our recommendation here is the smallest size, you could get it in a medium or large version. What we like is that even the largest pad is only a few bucks pricier than the Logitech above. 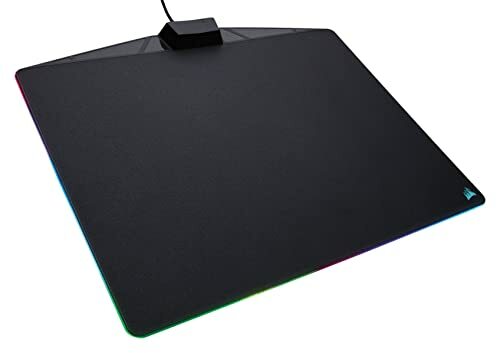 The Corsair MM300 small pad may be a great option if your desk has limited space. If you want a model that will offer you total control without filling your desk, the medium size pad might suffice. The large pad might be a great deal if you want something big enough for your gaming keyboard as well. What makes the Corsair MM300 unique? 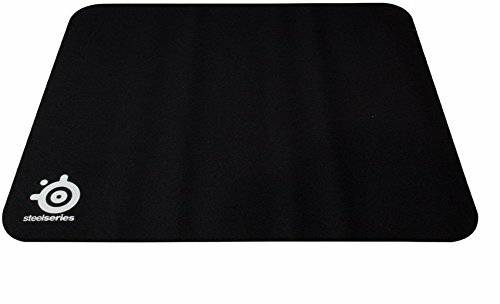 This gaming mouse pad has strong and reliable stitches that make fraying almost impossible. This feature means that you can throw it in the washing machine with confidence. We also like that the MM300 features an anti-skid rubber base. This feature coupled with its textile-weave surface with low-friction allows utmost gaming accuracy with pixel-precise targeting. The RGB craze is everywhere. For those who are already into it, I bet the Corsair MM800 is the way to go. Unlike the mouse pads above, this is a nifty model with an RGB illumination at the front, left, and right. Well, this lighting does absolutely nothing in upping your scores in the games. But it’s an eye candy. It’s purely for aesthetics and does a superb job of creating an inviting color production on your playing field. Worth mentioning is that the RGB system uses True PWM lighting technology. 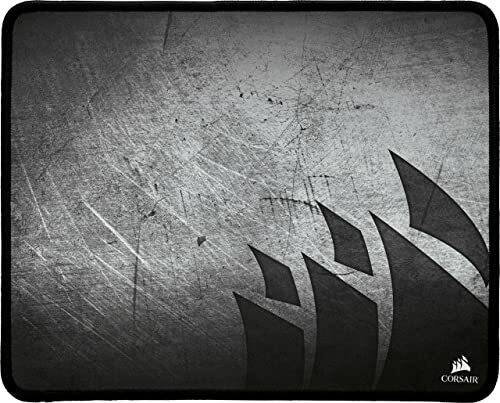 Interestingly, this is among the best gaming mouse pads that are compatible with the Corsair Utility Engine. This is a downloadable app that allows you to customize and synchronize the lighting effect on the pad. As such, you get the most accurate palettes of red, blue, and green colors. The MM800 has a built-in USB pass-through. This port allows you to connect your mouse to your comp via the pad. It’s more of a compensation for the port that it occupies on your computer. The Corsair MM800 measures 350mm x 260mm x 5mm. Let’s just agree that this is ample for most of your gaming needs. Its hard low-friction surface allows utmost precision for lightning-speed accuracy. Even better, it has a rubber base that offers a strong non-slip grip even on glass surfaces. Although the above features clearly define the MM800 as one of the best gaming mouse pads here, it does not come without some flaws. First, this pad is large and does not bend. As such, it might be an issue if your gaming desk is suffering from space. Second, its textured surface might be a little bit daunting to keep clean than a regular mouse pad. In addition, its price is a little on the higher end for a mouse pad although it’s worth every penny. The Razer Firefly Chroma is yet another option if you are hunting for the best gaming mouse pads with light. As its name suggests, the Chroma Hard features a hard surface. However, it has another sibling with a cloth surface for those who prefer it. Designed purposely for speed, you should feel a significant difference especially if you are migrating from a cloth pad. It might, therefore, please gamers who crave for quick and precise movements. Speaking of precision, the Firefly Chroma Hard has a reflective micro-textured surface that boosts the sensors’ sensitivity. In addition, this surface resists pet hair easily and it’s also super easy to clean. This mouse mat uses Razer Chroma Lighting that offers millions of customizable colors. This stunning display of colors and effects help in boosting your gaming environment. What’s the catch with this pad? First, unlike the Corsair MM800 above, the Chroma does not offer compensation for the USB port it uses. Second, its cord is not detachable. In case it breaks (albeit unlikely), you’ll be left with a regular pad with no lighting to show off. The Pecham might be the ticket for players who are not ready to sink a chunk of change for a mere pad. Honestly speaking, this pad is just as cheap as these peripherals get. Despite its throw-away price, the Pecham has several unique features that you might not find on other high-end models. First, this is one of the largest models in our collection of the best gaming mouse pads. 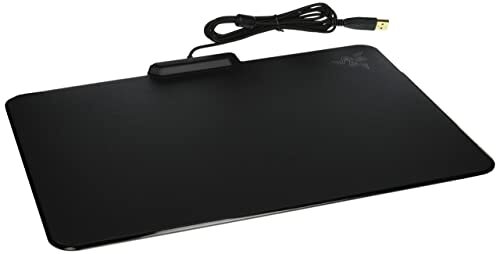 Measuring in at 30.71 inches by 11.1 inches, this pad accommodates both the keyboard and mouse and still leaves a lot of space for other needs. Secondly, it’s waterproof. This feature alone makes it a superb option if you like having a cup of coffee around during the game. You might also like that the Pecham accommodates all types of gaming mice. This feature means that it will still be of great use as you replace your gaming mice. This pad has a cloth surface made of lycra fabric that offers excellent glide characteristics. Again, this pad has a heavy rubber bottom. These 2 features will enable you to pull-off high-precision shots confidently and consistently. Well, most cloth gaming mouse pads fray. But the Pecham might do this only after a couple of years. It has sturdy and strong stitched edges that put off fraying and peeling even after regular washes in the machine. The Razer Vespula is purposely for gamers who want a moderately better gaming mouse pad at any cost. This is one of the best gaming mouse pads that offer 2 gliding surfaces in one unit. In fact, this is the key feature that differentiates it from others here. The main benefit that you reap here is cutting-edge precision and speedy controls from the same mat. One side of this mat is a precision surface. This has a textured and bumpy feel and it’s not as speedy as the other side. Needless to mention, the precision side might be ideal for sniping games where consistency and accuracy are key. The other side is a speedy surface. This comes in handy in games that involve making speedy movements in a split second. Well, it’s somewhat illogical that you’ll have the time to flip the pad amidst the game. But it might be a little bit easier than switching pads altogether. This model also has a memory foam wrist rest. Its aim is to support your hand, especially for prolonged times. There’s a catch here though. Most people report that there is a strong petroleum smell that emanates from the wrist rest. Secondly, most buyers report that the pad develops bubbles around the gliding surface after around 1 year. What you are looking at is a tournament-grade model that tops most charts of the best gaming mouse pads today. This is a world-leading mouse pad not only because its price is within a friendly ballpark. But mainly because it outdoes itself in doing what it’s designed to do. The SteelSeries comes in 9 different models varying in terms of size and thickness. What we are reviewing here is the Qck+ model. It measures 17.72w x 15.75h x .08d. Its heavy thickness enhances performance even on uneven surfaces. It also helps in supporting your wrist. Unlike the Pecham above, the SteelSeries is not water-resistant. Luckily, it is easy to wipe it clean either with a damp cloth or a wet wipe. What makes it one of the best gaming mouse pads is that it’s optimized for both laser and optical gaming mice. But what’s so impressive is its unbeatable nearly frictionless cloth gliding surface. This makes it unstoppable regardless of the titles that you are looking forward to. Its base flaunts a sticky rubber agent. It prevents the pad from making even the slightest movements or budging. There are 2 major flaws with this pad. First, it is not waterproof and tends to accumulate dirt fast. Secondly, it is not machine wash-safe. The Glorious mat is among the best gaming mouse pads that you can also use for work as well. It might be an economical alternative to the SteelSeries above since it is a few bucks cheaper yet equally functional. We really appreciate that this manufacturer brings this mat in varying sizes. What we are reviewing is the ‘smallest’ but you could go as high as the XXXL. Despite being the smallest, the Glorious Large offers enough space for your keyboard and mouse movements. 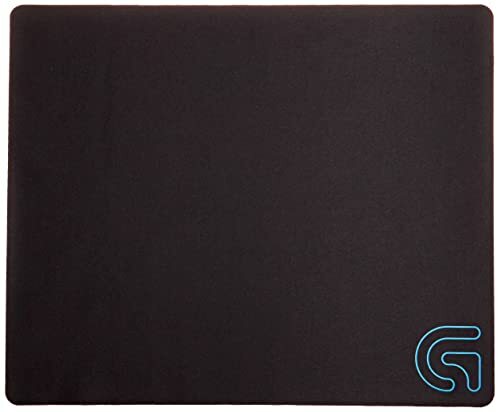 This mat measures 11’’ by 13’’ by 0.08’’ and is, therefore, quite large for most gamers’ needs. This pad has a minimalist design without unnecessary texts sprawling the gliding surface to interfere with your mouse’s sensitivity. A stylish logo at the right complements the stitched edges in boosting the mat’s aesthetics. What games does it support? The Glorious Large stands out in normal-high DPI settings. It features a smooth cloth surface that supports varying mouse sensors and sensitivities. It also has a non-slip rubber base. So, it stays intact no matter how rigorous your games require you to be. The Turtle Beach is yet another highly affordable mouse pad for gaming that you won’t go wrong with. This is the latest offering from Turtle Beach Corporation- an American technology company under Turtle Beach and Hypersounds Brand. This card comes in 4 different sizes including medium, large, extra-large (reviewed), and wide. The latter might be an ideal option for gamers who tend to move the mouse more than average. The x-large model measures in at 17.72″x13.78″. 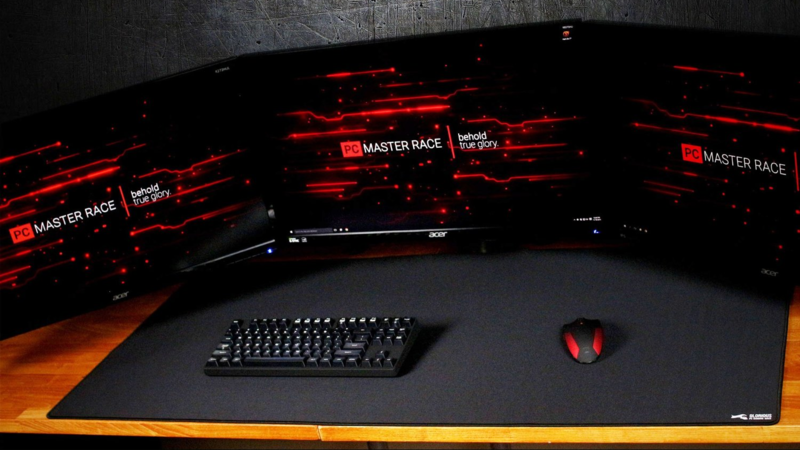 This might be enough space for your keyboard, mouse, and even a gaming keypad. Right off the wrapper, the first thing that you note is the slightly rough feel at the top. This is because of the high-quality textured surface used. This slightly rough texture means that your mouse won’t be sliding or slipping unnecessarily in the middle of your games. As one of the best gaming mouse pads available today, there are no worries that it won’t stay in place. The Turtle Beach features an anti-slip rubber base to take care of this. You might also appreciate its anti-fraying edges that boost its durability even further. The Logitech G240 is in its simplicity. It might make a good a choice if you are looking for a basic pad that won’t require power. This is basically a black cloth with some amount of resistance at the bottom to minimize slippage. The surface is soft enough for excellent tracking performance. Again, most users point out that despite its cloth design, this gaming pad offers enough support without sinking. The Logitech G240 does not have embroidery along the edges. Well, this might be both a pro and a con depending on how you look at it. As a pro, this means that there are no bumps to interfere with your wrist’s comfort. On the other hand, this design means that the mat may fray easily with regular washes. A good thing, however, is that the Logitech G240 brushes off any dirt and dust quite easily. Again, a wet wipe is enough to maintain its cleanliness. Thus, this gaming pad should be able to hold up quite well with just minimal care. The best gaming mouse pads add a non-trivial role in your gaming experience. Well, you could simply slide the mouse on your gaming desk or armrest. However, our experience in this field proves that a smooth surface always gives you an upper hand when crushing the enemy lines. Worth noting is that there isn’t anything like the best gaming mouse pads for everyone. Your ideal choice of these accessories boils down to your preference in regard to material and your gaming style. Why are gaming mouse pads so important? So, what matters when buying the best gaming mouse pads? 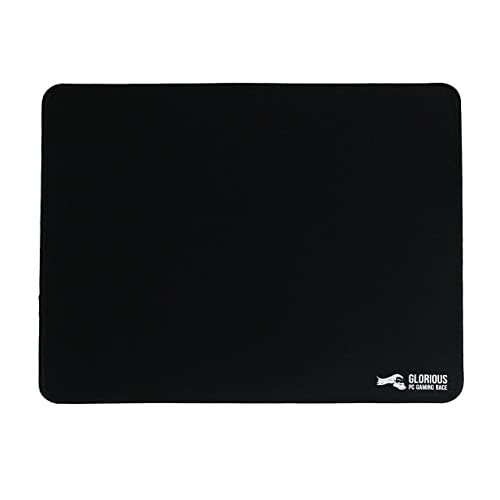 Soft gaming mouse pads generally feature a padded backing consisting of either foam or rubber composite. Most of them also have a fabric cover. They give you a good amount of cushioning under the mouse. 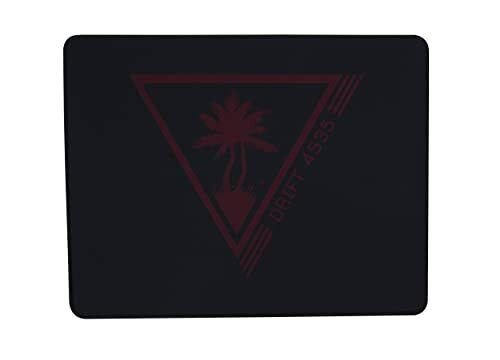 On the other hand, hard gaming mouse pads feature a smooth plastic surface and a rubber back. You may also find others that are made of aluminum. As you can imagine, these make the best gaming mouse pads in regard to durability and ease of keeping clean. Well, do know that there isn’t a bad gaming mouse pad. It depends on a few things including the type of games that you enjoy and where you play them. Again, the type of mouse that you use matters a lot. These are going to be of great use especially if you move a lot. They are also pretty much ideal for gamers who use gaming mice with laser sensors. These models come in handy in terms of giving you greater precision for spontaneous and exact movements. Importantly, these gaming mouse pads are waterproof. 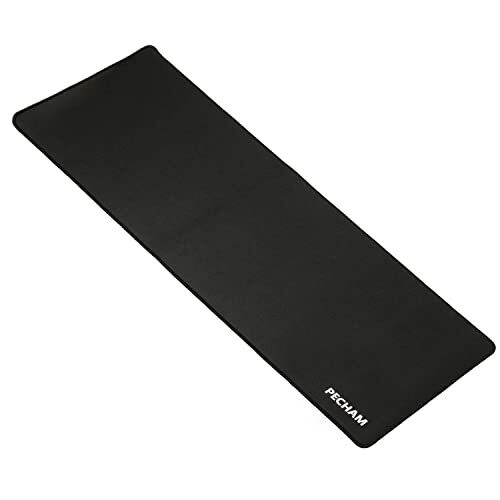 This feature makes them the best gaming mouse pads if you like taking coffee or energy drinks in your gaming station. There’s a catch with hard gaming mouse pads though. The major drawback with hard pads is that they tend to slide easily on smooth surfaces. However, if you can find a solution for this, they offer the best value in terms of durability and controls. Soft gaming mouse pads might be a haven if you play your games for hours. This is because unlike hard gaming mouse pads, soft modules have a good sinkage that lets your wrist rest comfortably. Not all of us want wrist support though. If you feel that it stands in your way, hard gaming mouse pads may work better for you. In addition to how soft or hard the gaming pad is, it’s also important to research on its size beforehand. 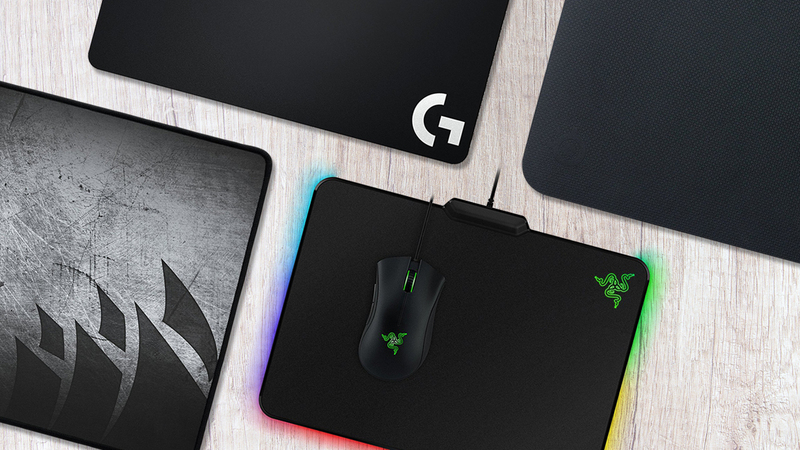 The best gaming mouse pads come in all sizes. You could get a model that only fits your wrist only. Others are the length of your arm and could support your keyboard and gaming card too. So, what should you know about sizing? Basically, as far as the surface of the mat is friendly to the mouse’ movements, a large pad won’t hurt. The good thing with large gaming mouse pads is that they play the role of wrist rests too. You may also place your gaming keyboard on them to prevent unwanted movements. Without being so technical, with large gaming mouse pads and low sensitivity requirements, your arm uses the large and resilient muscles to move the pad. This helps in alleviating the risk of wrist and elbow pains with prolonged usage. However, if a large pad won’t fit on your desk, then a small pad will do. The best part about small pads is that you can use them anywhere. They don’t grab estates on your gaming desk. Again, you can use them on your armrest comfortably. They exert so much pressure on your ulnar and median nerves. This is because even the smallest movements require a lot of force. Gaming is all about fun. So, remember to treat yourself to an attractive mouse pad with unique designs and color patterns. 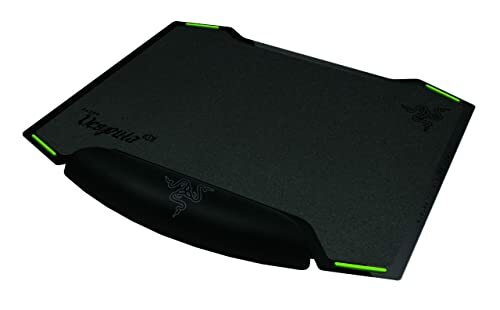 In fact, if you feel that a mouse pad won’t add any difference to your pc gaming, you could add it just for aesthetics. The aesthetics of your gaming station alone can endear it to you. 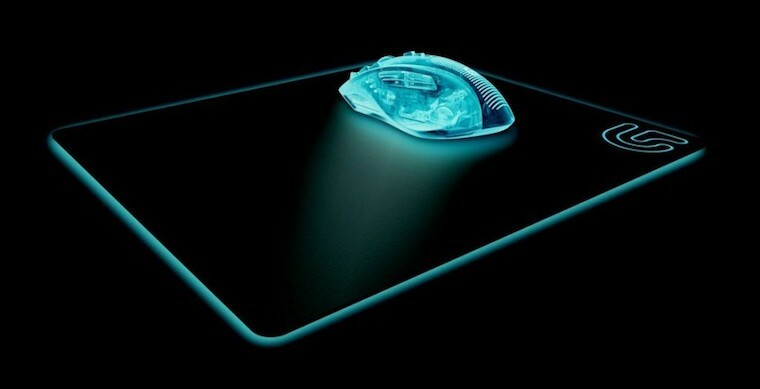 Luckily, the market is full of gaming mouse pads that standout in terms of design. Some are brightly colored or even illuminated to make it easier to game in low light settings. A mouse pad may not have been so necessary a few decades ago. However, the advent of computer games that require utmost precision and speed make these peripherals a must-have. If your gaming rig already boasts the best external graphics card, complementing it with one of the best gaming mouse pads won’t be overkill. These add-ons are inexpensive and may be all you need for those glorious victories.